Awesome Galleries: Burma Muslim killing.... WHY ? Burma Muslim killing.... WHY ? Islam is the complete code of life and it is message of peace and harmony. It is slickly dislike violence and prejudice to concern other people and other class of any sectors because it is referring new and authentic revelation which is writer in Holy Quran in 14thcenturies ago. Allah Almighty says that in this book who say that there is no discrimination in man and the women but prediction. Killing of Muslims started on 3rdJune 2012 till to now they are killing and there is no setback for these reasons. Therefore now and then what will be happen in next time so that it is not to say easily with other impression? Today Muslims who lives in the different society and they are living with other and opponent culture but still now it better then killing of anyone. The Holy Prophet (PBUH) says that about the people of the world “Everyone is responsible of our deeds.” Later on, I am afraid to say that about the Muslims killing in the various countries like that Fastens, Chechnya and Burma. Today it is most important and serious issues for sub-continent because they are innocent people and they do not know about the sectarianism in our lives. But other and foreign forces like that American and Allied force would like to tease and cruel them until they are dead. In the Burma (Myanmar) killing the Muslims who are living there. The Buddhists assassinate then bitterly and wildly because they want to banish them from their places and they want to snatches everyone even their lives. Muslim media is very shameless and it is ignore bloodshed our Muslims men and women, why it is that I don’t know. 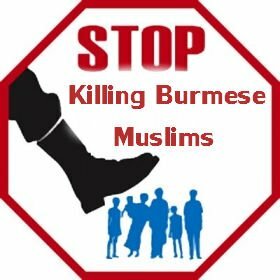 Killing of Muslims started on 3rd June 2012 it is not fare to kill anyone other side that are called owner of peace and tolerance and they are cooperation with other people that statement say the Buddhism leader and its action against his statement. It is place of Middle East and the NATO forces take operation and they are killing together. Therefore I am asking to you why are they killing innocent and stainless people especially Muslims?? Are they terrorist or illicit at any crime??? ?